Dasher & Dancer & Prancer & Vixen & Comet & Cupid & Donner & Blitzen & Rudolph. 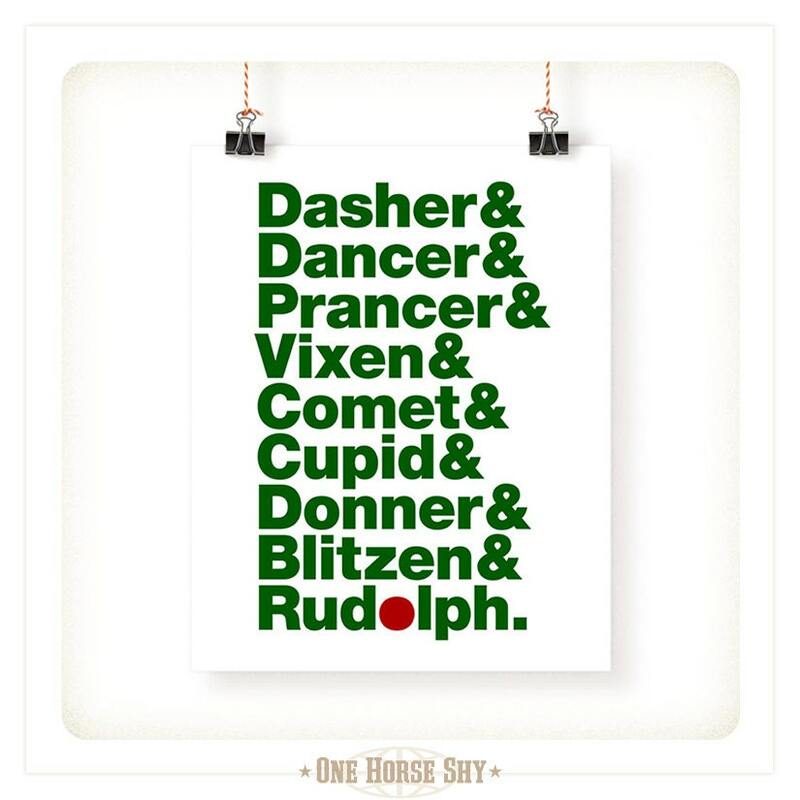 The Reindeer Names Christmas Art Print is available in multiple colors and three sizes (all measurements in inches): 5x7, 8x10, 11x14. This is an unmatted, unframed print.